With the ever-changing wave of state and local firearms laws and regulations, individual federal firearms licensee “gun shops” are in the best position to know what firearms and accessories can and cannot be sold, transferred, or delivered in their particular locations and, if they can be sold, transferred, or delivered, how and to whom. There are a myriad of state and local laws and regulations that may apply to the sale of firearms and accessories obtained by FFLs from MKS Supply and or other distributors and manufacturers. No one other than each individual FFL can be responsible for their compliance with all applicable laws and regulations. Illinois and Hawaii FFLs should be aware of the “melt point” laws that prohibit delivery of some handguns to individuals within those states. 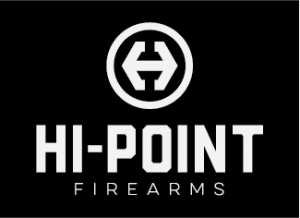 As a result, Hi-Point Firearms and MKS Supply will no longer be accepting warranty repair Hi-Point Firearms handguns from individuals or FFLs residing in Illinois or Hawaii due to the fact that we would not be able to return such to the customers, irrespectively of whether they originally purchased out-of-state, etc. If you have a customer seeking repair of a Hi-Point Firearms handgun, please do not accept such or instruct them to send the firearm to the manufacture. Instead, please have customers contact the manufacturer at the number provided; Hi-Point Firearms 419-747-9444. We are able and willing to ship certain parts, and assist you or the consumer in repairing the firearm. If you need assistance obtaining parts, or repairing the firearm once you receive the parts, please call the factory and a technician will assist you. All of the information in this message is accurate to the best of our knowledge as of the time of its writing. Laws and regulations, however, are subject to change at any time without notice to MKS Supply. MKS Supply cannot be relied upon to provide legal advice, and nothing in this message should be interpreted as legal advice. Legal questions, and requests for legal advice should be directed to a qualified attorney in your area. If you have any questions about the above mentioned “melt law” please contact Hi-Point Firearms’ exclusive distributor, MKS Supply at 1-877-425-4867. We thank you for your continued support of Hi-Point Firearms, MKS Supply, and the American firearms industry. We look forward to working with you for many years to come.